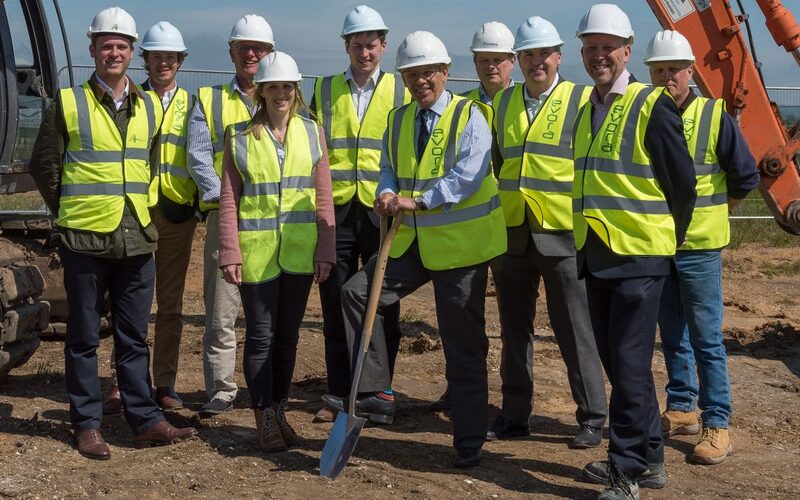 Just three units remain available off plan as Phase 2 of the £2M Broadhelm Business Park development starts near the A1079 York road at Pocklington, East Yorkshire. The development will see the construction of Helmsley Court, a 12,000 sq. ft development of eight new business units ranging between 1000 sq. ft to 1500 sq. ft.
Only three of the eight units remain available to local and national businesses, as five have already been sold off plan to local occupiers and investors. The units are expected to be ready in November this year. Broadhelm Business Park is a 22 acre development being carried out by The Broadhelm Venture, a joint venture between Helmsley Group and Broadvale Developments. The remaining land can accommodate requirements up to 100,000 sq. ft on both a leasehold or on a design and build basis, with good interest from national and local occupiers. The Broadhelm Venture has strived to use local consultants on the development, with York based DSP Architects acting as lead designer, York based Aspect 4 acting as Project Manager and Quantity Surveyors and Evora Construction acting as the Main Contractor. Gent Visick and Procters Commercial are the appointed selling agents.